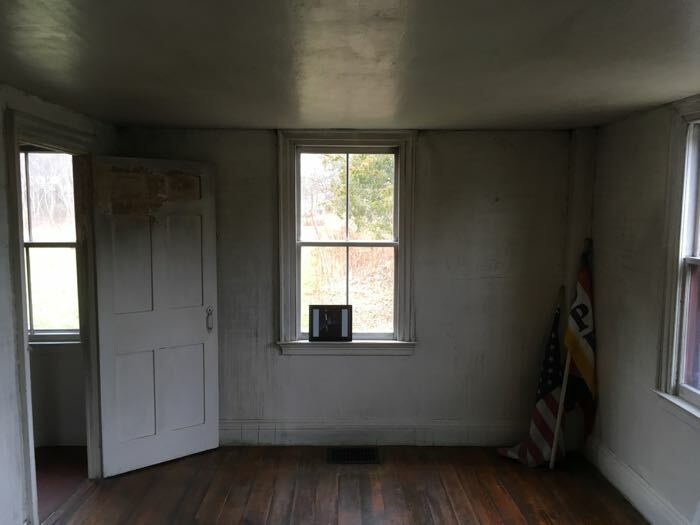 Is it fair to a fine historical preservation organization to visit one of their museums when it is more or less empty and gutted? Most would say no, I’d argue yes. Hm. Weird. But it’s empty. Under repair. Fire-scarred. I cleared my calendar. I was not alone during my visit. I think it may have been the first open date since the fire and locals were curious about the old building’s status. In my mid-40’s, I was the youngest visitor by decades. Also, I appeared to be the only person who didn’t know someone else personally. So my picture taking raised a few eyebrows, but nothing more. 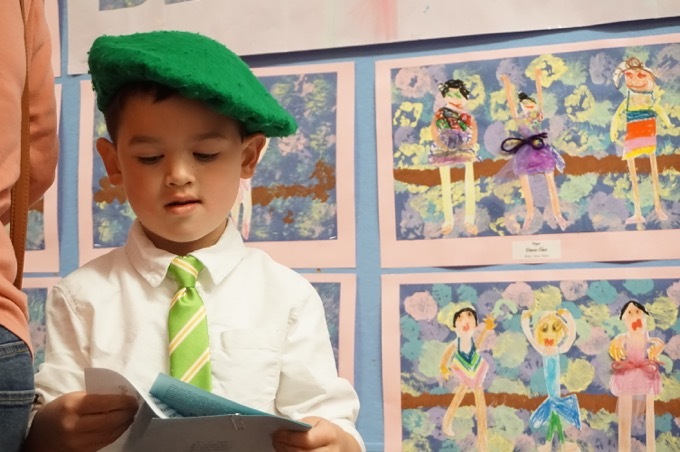 Did you know Connecticut had a “State of Connecticut Military Department?” We do. 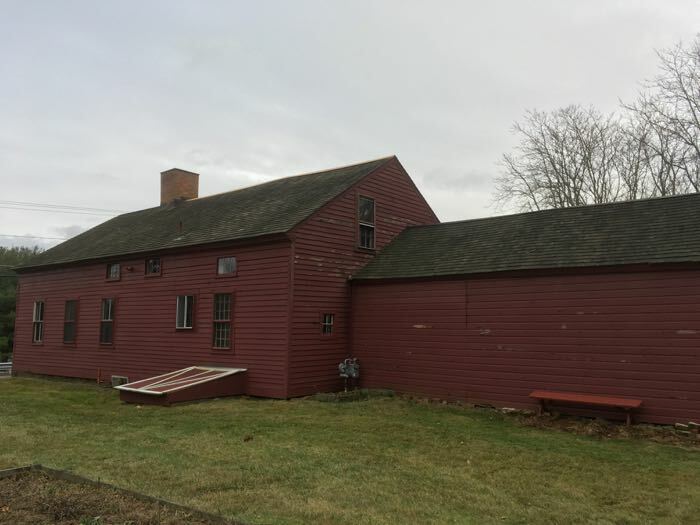 In fact, the Derrin Farmhouse is operated by the Avon Historical Society under a lease agreement with the State of Connecticut Military Department, owners of the building for the First Company Governor’s Horse Guards located across the street. Furthermore, the home is situated in Horse Guard State Park Scenic Reserve; a 100 acre space owned by the CT DEEP. 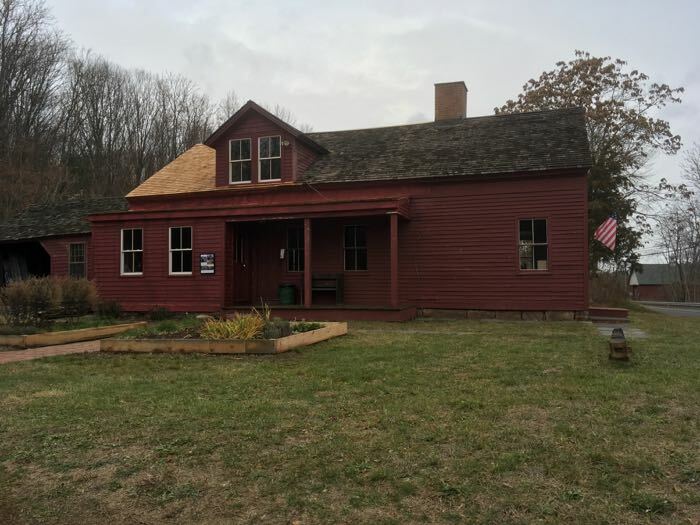 Typically, when it’s not burnt up, the Avon Historical Society interprets the Derrin House as a 19th century rural farmhouse of the Ammi Derrin family who raised 6 children and lived here from 1850s through 1880s. 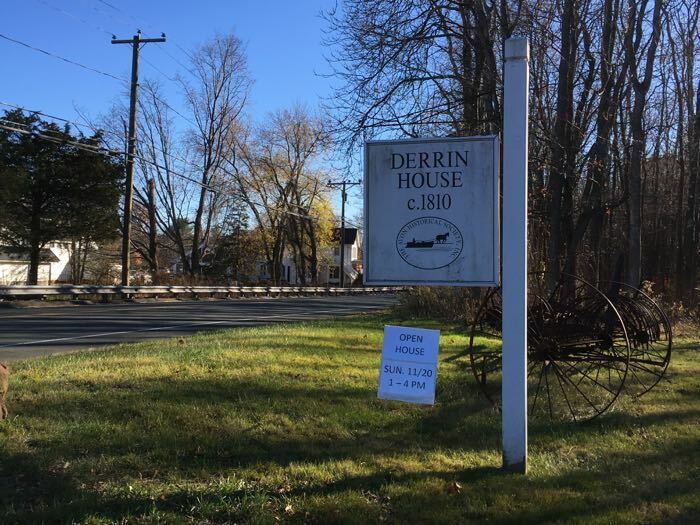 The Derrin family is an old one in Connecticut. 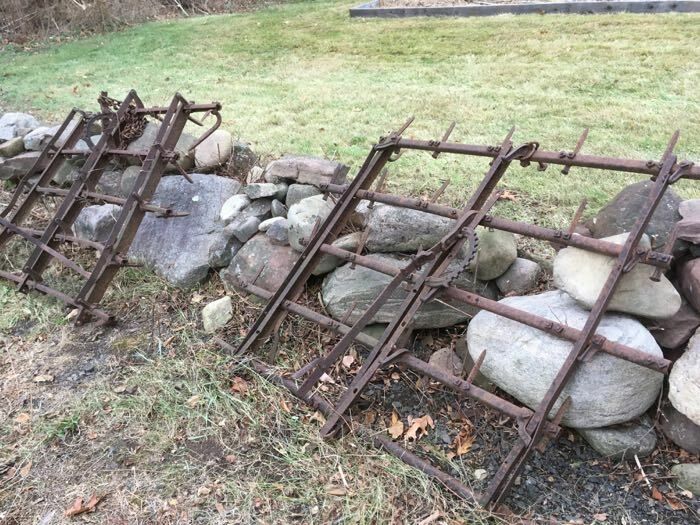 Digital Farmington suggests the family has been here since the mid-17th century. That site has a really cool 1841 letter from the Derrin family. Dan Derrin and Ammi Derrin detail their adventures to Arkansas and the Cherokee Nation. They were selling clocks and surviving by their wits. But they also looked forward to returning home to Avon and building or adding on to houses. 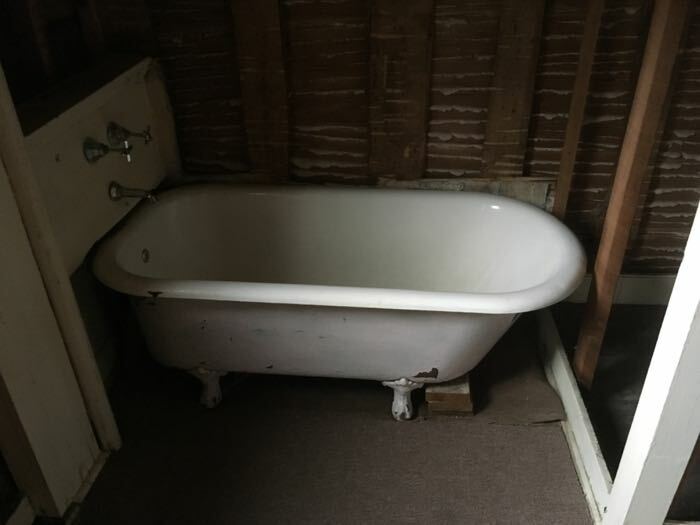 “We have been thinking if you see cause to make some addition to the old house or build a new one, we will help you along with it when we get home. 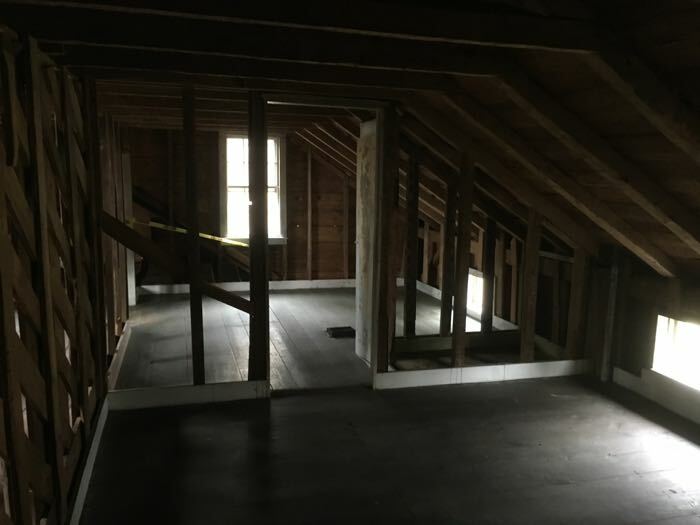 The reason why we write is that if you should all be well, you can be making some arrangements for the same as it takes time to build to advantage such as getting timber for joists, studs &c. & for the frame. There is nothing like having everything ready when a job is to be completed. When commencing the plan, you can adopt as you please for your own convenience. Brother Ammi has drawn a plan up. He puts it in [the letter so you] can see what his views is. But I think some other plan would be as convenient & less expensive – or at least not as long as he has drew the plan.” Trading in horse flesh and eating squirrels and wild turkeys had perhaps run its course. The Society is building the old house up again and it will surely return to its former glory. I’m cool with seeing it in its barest state. I got the gist of it. 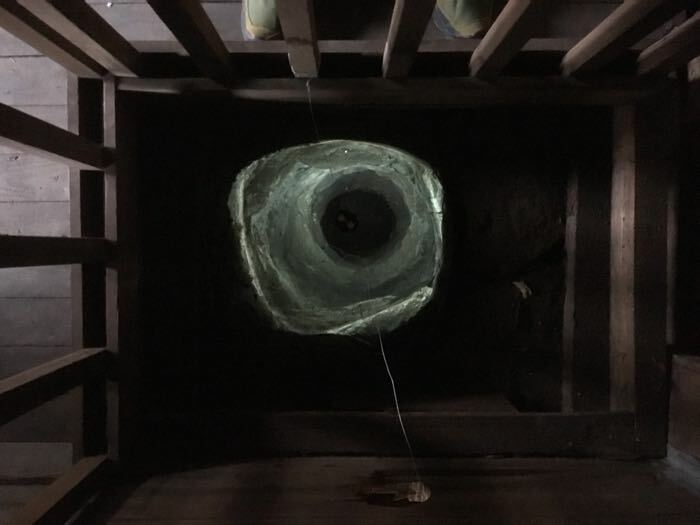 And really, the coolest thing at the Derrin House is the stone well. Oddly, it wasn’t rediscovered until the 1990’s. Also, in 1995 the State Archaeologist at the time, Nicholas Bellantoni, conducted a one day dig around the foundation of the house and recovered 635 artifacts. Some of these are actually items once owned by the Derrins over many generations. It was the opinion of the archaeologist, based on the finding of quartz and flint, that Native Americans may have lived on the property thousands of years ago.